As one of the areas leading rental agents we have a constant supply of properties that are currently let that for various reasons the existing owners would like to sell. These properties are ideal to ‘Buy 2 Let’ investors as there are paying tenants in residence reducing the risks of not getting the rent predicted or not finding a tenant. Register with us if you have specific requirments on 01480 434290. 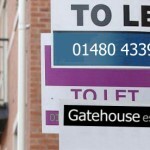 For our latest selection of Buy to Let properties, click here.